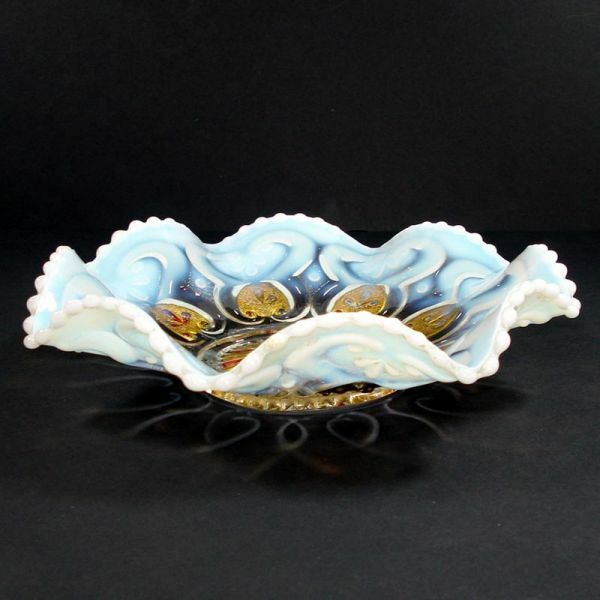 Gorgeous antique ruffled rim opalescent glass bowl in the Cashews pattern by Northwood Glass and possibly later by Dugan Diamond, circa 1912. 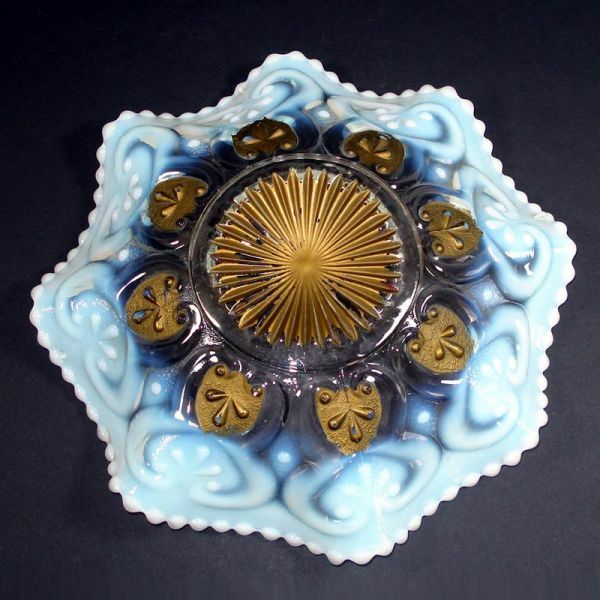 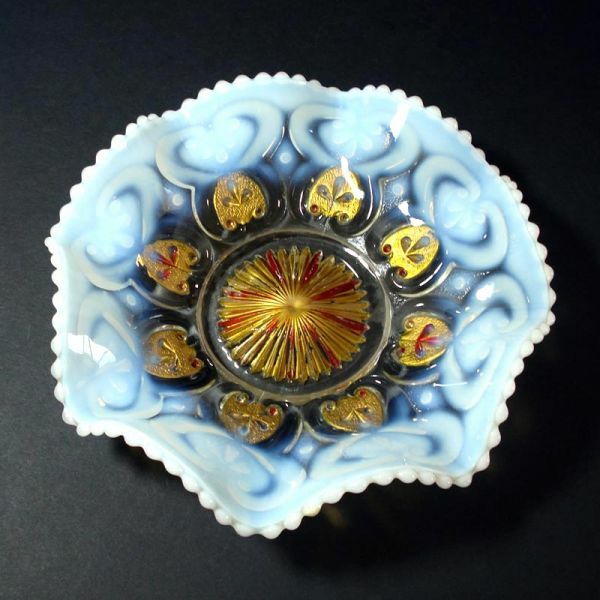 The opalescent color of the 8 inch diameter by 2-1/4" high bowl is white with a hint of blue. Red and gold goofus decoration is applied to the starburst bottom and flowers in arrowhead motifs. 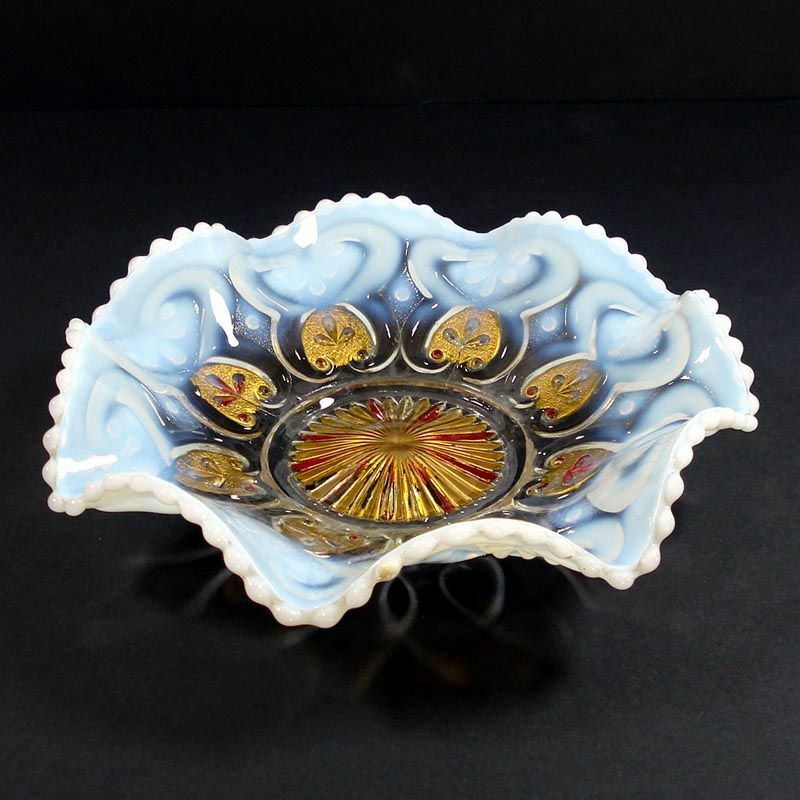 In excellent condition with no damage and very little wear to the goofus paint.